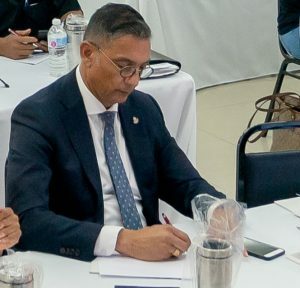 BELAIR — CIBC FirstCaribbean recently held it First in Business Seminar at Belair Community Center on Thursday, March 14th, 2019. 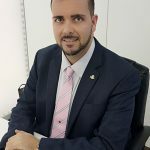 According to Garth Sherwood, Country Manager CIBC FirstCaribbean, the aim was to provide business owners in the Micro, Small and Medium Enterprises (MSME) sector with an opportunity to help grow their business by facilitating a forum that provides important information. 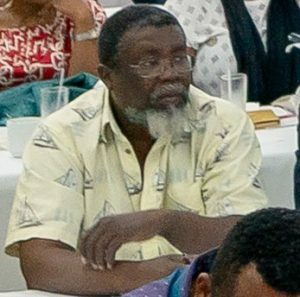 Present at the seminar was small business owner Clifton Wilson who distributes Rechargeable LED Light bulbs and Compostable Products, to replace plastics and Styrofoam food containers and cutleries on St. Maarten and the Caribbean, via his company Simadom Trading and Services. “Thank you CIBC FCIB management and team for a job well done! This is just the beginning!” – Jacqueline Blijden, managing director of VIAMEX N.V. Owner and managing director of VIAMEX, Jacqueline Blijden, is definitely excited and enthusiastic about the seminar. “As owner of an import export business called Virgin Archer Import Export and operating under the company name VIAMEX NV, I am always appreciative and welcome these seminars which serve as a guideline for better and sound business practices.” Blijden wrote to StMaartenNews.com. Accounting – We are in need of a good daily accounting system where all our activities are recorded. Good records keeps us in tune as to how healthy or not our operation is and tell us also on a timely manner where changes would need to be made. We were made aware of having a good Risk Management Insurance Policy among others which covers the company’s type of business activities. Besides all required documents for starting and running a business having a Business Attorney is of utmost importance for any labor or any other disputes one may have as a business owner. CIBC First Caribbean has some quite attractive Financial Products to offer us business owners. Everything is tailored to assist us on our road to continued success with no worries. 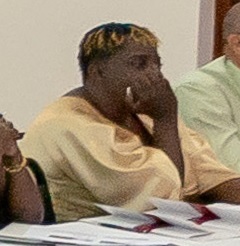 Blijden wrote that she will be making appointments with all the presenters as her plan of action entails moving her business forward to the betterment of the St. Maarten community and beyond. “VAIMEX N.V. is looking forward to CIBC FCIB taking this first of its business seminar to another level. We hope this to be just the beginning of more seminars like this to come.” Blijden concluded. During the seminar, presentations and discussions were conducted with guest speakers Daniella Engelhardt of Van Eps van Doorne Law Firm; Marcia Illidge, BDO Accounting Firm; Neil Henderson, Henderson International Insurance; and Jimmy Challenger of CIBC FirstCaribbean. The forum provided businesses the opportunity to network and gain expertise in the specific fields of Law, Finance, Insurance and Accounting as Blijden pointed out. “They create financial independence, provide employment and encourage innovation.” Sherwood said as he addressed some eighty (80) business owners at the opening of the First in Business Seminar hosted by the bank. “Prior to Hurricane Irma you accounted for 85% of companies operating and you provided approximately 20% of the TOT collected by Government. I have used these numbers to properly put into context the importance of you and your business to the economy of our island.” Sherwood pointed out. “With the vital information presented, the bank aims to assist businesses with improvements in management and performance within their industries. CIBC FirstCaribbean remains adamant in its prominent role in the success of the island and its businesses. The First in Business seminar is confirmation of this commitment”, Sherwood said. The bank recently also held a Driven to Own Financial Planning and Mortgage series event in collaboration with MotorWorld, bringing more than two hundred (200) attendees together seeking ownership and solid financial freedom. 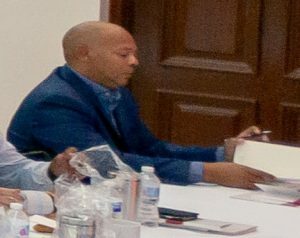 Top photo caption: CIBC FirstCaribbean’s First in Business Seminar at Belair Community Center March 14th 2019. Richard Hazel Photo provided by CIBCFCIB. 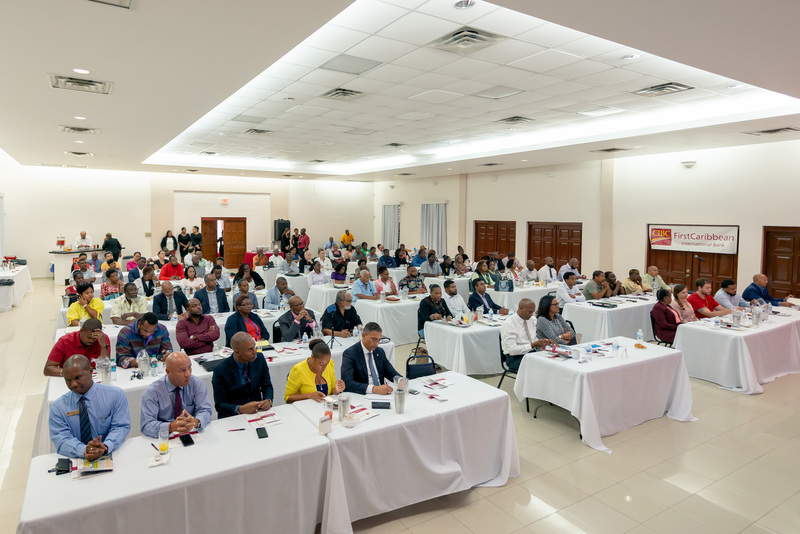 POND ISLAND, Sint Maarten – CIBC FirstCaribbean organized its ‘First in Business’ Seminar where 80 businesses took part.